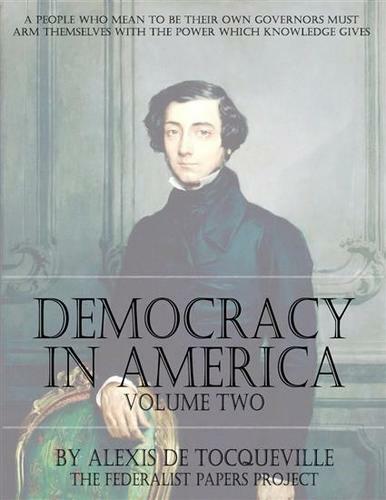 De la démocratie en Amérique; published in two volumes, the first in 1835 and the second in 1840, is a classic French text by Alexis de Tocqueville. Its title translates as On Democracy in America, but English translations are usually entitled simply Democracy in America. In the book, Tocqueville examines the democratic revolution that he believed had been occurring over the past seven hundred years.